"I’m a first-time buyer, and couldn’t have asked for more from my experience with Emily. From start to finish, Emily was absolutely wonderful to work with!" - Julie C.
"Emily was incredibly helpful and amazing to work with in our search for a new home. She was responsive, respectful, and patient. The time and effort she put into our search made us feel valued and appreciated." - Ann S.
"As first time home buyers, we felt a sense of comfort knowing Emily was there with us every step of the way. I cannot recommend her enough to anyone looking to buy property in the Chicago area!" - Kayla B. 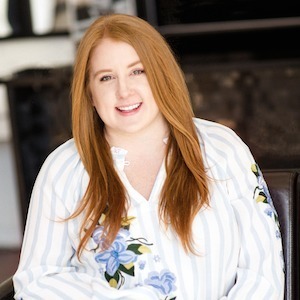 It has been five years since Emily dove (head first) into the world of Chicago real estate and in that time, she has developed a reputation for her ability to lead her clients through the buying/selling process with ease. Emily knows that communication is central to this process so she makes sure to take time (and then a little more time) to fully understand her clients' needs, wants, and non-starters. That is the foundation of everything she does with and for her clients, and is the secret to her success. Emily grew up in the Northern Suburbs and has called Ukrainian Village home for the past several years. While she loves the city, she's always eager to get back to the burbs, so she's more than happy to work with clients both in and out of the city.